You buy a PW Arms P-64 because it’s a proven every day carry gun at an outstanding value. 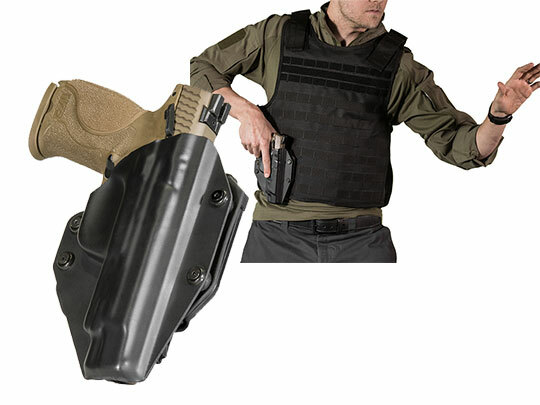 You should expect no less in a PW Arms P-64 holster, and Alien Gear Holsters delivers. Whether it’s an OWB or IWB PW Arms P-64 concealed carry holster, Alien Gear can supply exactly the carry system you need. 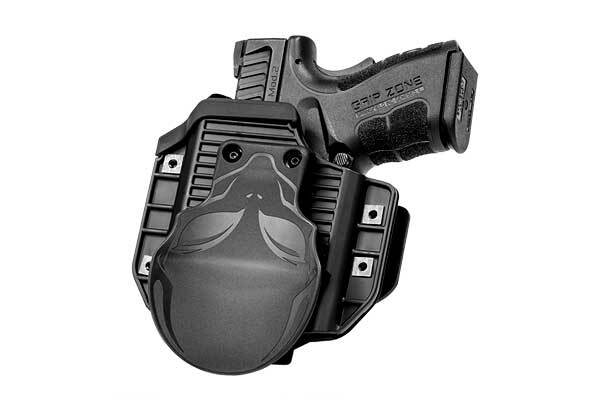 Alien Gear holsters use a retention shell to holster your gun, with holster shells available for a wide range of makes and models including the P-64. However, unlike other makers, our shells are adjustable, so you can set the retention instead of us doing it for you. Our IWB holsters also feature adjustable belt clips, so the ride height and grip cant angle can be set by the wearer as well. 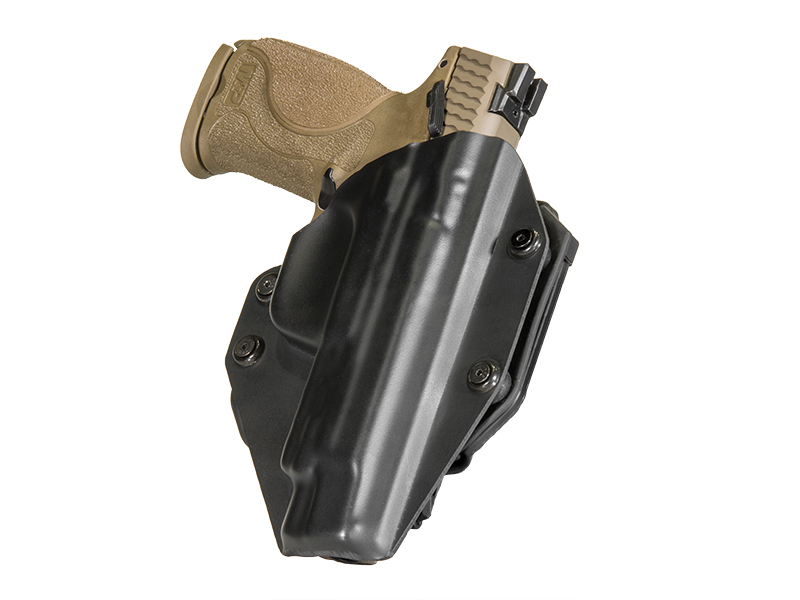 Our IWB holsters include the Cloak Tuck and the 3.0. The 3.0 is a state-of-the-art holster, employing a multi-layer construction to create a holster that needs no break in, won’t let in moisture, keeps your firearm securely in place and wears in unparalleled comfort. The original Tuck, for those who refuse to settle for anything but cowhide, is made from heavy-duty leather, and can be had in black or tan. If wearing outside the waistband is preferred, or if you’d like one of each, you can also select the Cloak Slide OWB holster, available in the same black and tan leather as the Cloak Tuck. Unlike much of the competition, Alien Gear never skimps on the guarantee. In fact, we have three. We guarantee a 30-Day Test Drive period, for you to decide if your Alien Gear holster is completely to your satisfaction.. We guarantee a lifetime of free shell swaps, in case you replace your gun but don’t want to replace your holster. 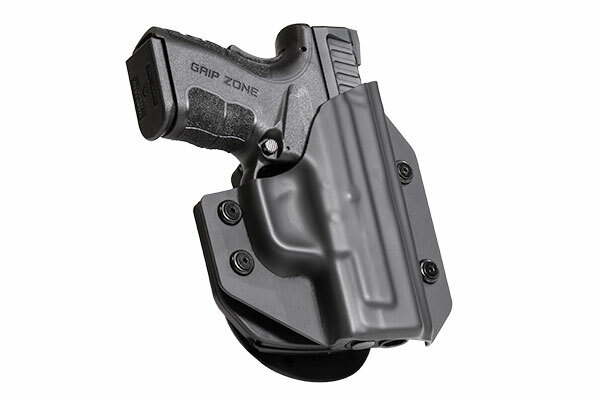 We also guarantee every holster for life against damage or defects. It may well be the last holster you ever need. Schedule your test drive today!